Over 60,000 people within military, judiciary, civil service and education have been dismissed, detained or are currently under investigation for suspected links to the Gulen movement. Turkey’s ruling Justice and Development Party (AKP) has ordered the party to be “cleaned” of supporters of President Recep Tayyip Erdogan’s arch foe US-based Islamic preacher Fethullah Gulen, state media reported on Friday. In a circular signed by the party’s deputy leader Hayati Yazici, he ordered an “urgent clean-up in the party organisation” to eliminate those linked with the Fethullah Terrorist Organisation – a name Ankara gives for the movement blamed for the July 15 failed putsch, Anadolu news agency reported. A party official, contacted by AFP, was not immediately available to confirm the decree. Turkey has accused Gulen of running a “parallel state” and staging the coup attempt through its supporters in the army — which the reclusive cleric vehemently denies. Turkish authorities have implemented a relentless crackdown in the wake of the coup. Over 60,000 people within military, judiciary, civil service and education have been dismissed, detained or are currently under investigation for suspected links to the Gulen movement. The crackdown that has also targeted journalists accused of links to Gulen has set off alarm bells in the international arena. Twelve out of 14 journalist suspects from the Zaman daily were remanded in custody, Anadolu reported today, less than a week after six others were arrested. Mumtazer Turkone, former columnist of the newspaper, was one of the journalists arrested by an Istanbul court, it added. Turkone was remanded in custody on charges of “serving FETO’s purposes”, nine other suspects on charges of “membership in an armed organisation” and the remaining two on charges of “aiding the organisation despite not being a member of it,” Anadolu added. 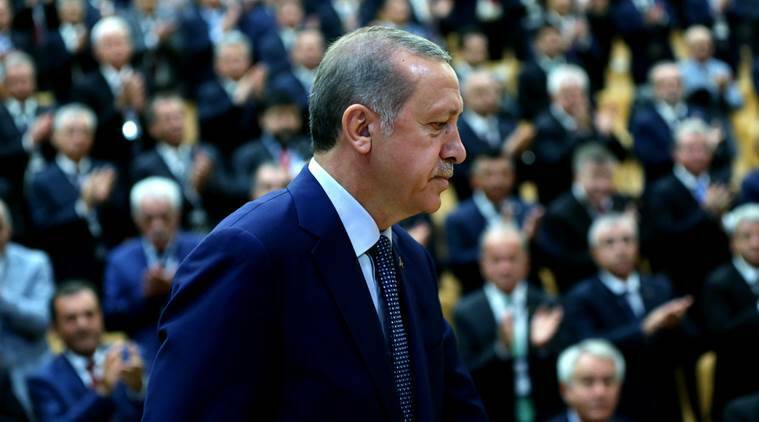 Turkey issued arrest warrants last month for 47 former staff of the Zaman newspaper suspected of links to Gulenists in the aftermath of the coup. In March, Zaman and its sister English-language newspaper Today’s Zaman were taken over by state-appointed administrators and it has since taken a strongly pro-government line. Turkey on Friday issued an arrest warrant for Gulen on charges of ordering the coup attempt. But the Turkish cleric, who has been in self-imposed exile in the US since 1999, has denounced the arrest warrant as meaningless, saying that it was typical of a justice system which was not independent.